Is It Worth Attending Wedding Fairs? Wedding fairs are an interesting subject. Many brides will avoid them while others attend every single one! 31% of brides didn't attend a wedding fair last year and I think that is a mistake. I believe every couple should attend at least one wedding fair during their engagement. Without wedding fairs most couples might miss something important. With every kind of supplier imaginable it is impossible to miss anything. From entertainment to venues to photographers, they are all under one roof! It’s your one stop shop for weddings. Not only do they contain every type of supplier you could imagine. There are also plenty of things you may never have considered. Take me for example. I feel pretty confident in saying that the majority of couples don’t go to wedding fairs looking for a magician, yet, people often come out of wedding fairs with the seed of having a magician planted in their minds. There are so many different options at wedding fairs I feel you really do need to experience at least one during your engagement. Even if you don’t find anything you want to book for your wedding day it may give you ideas you hadn’t thought of. Suppliers are more than happy to hand out advice and offer their experience with you, even if you don’t book them. That’s what’s great about the wedding industry, the suppliers are collectively creating one goal: your perfect wedding day. The great news is, many venues hold their own wedding shows. 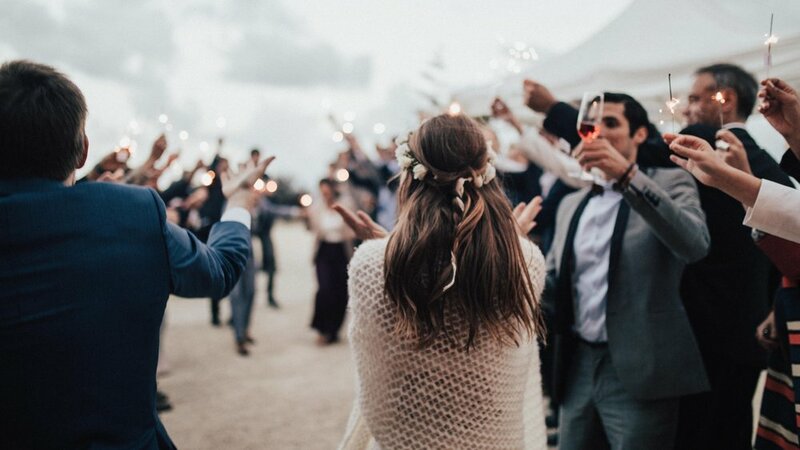 Often these are weekday evenings (as opposed to the traditional Sunday) and they invite their select list of suppliers who they know and trust to provide you with the best wedding day. These types of fairs mean the suppliers there are familiar with the venue, know the staff and, most importantly, know how their service works best at that venue. Be sure to ask your venue about wedding fairs they have and see if you can come along and see their select list of suppliers. Even if they don’t they’ll probably have a list of suppliers they will recommend for you. How Can I Help From Here? Sign up to receive monthly emails with all of our latest Wedding Planning Tips.